Maxine Lay passed away on November 18, 2018 at Bickford of Portage at the age of 84 after a long battle with dementia. She died peacefully in a very natural order of things as was her way. Maxine Rowlinson was born May 10, 1934 in West Bloomfield New York. She was the middle child of seven born to Mary and Ben Rowlinson and is survived by two sisters and two brothers in New York. On October 6, 1951 she married Robert Lay, who survives. Married for 67 years, they built a family of four children, Bill, Jim (Harriet) and Tom Lay and Diane Lay Cleary (David), eleven grandchildren and thirteen great grandchildren. Maxine was a wonderful homemaker for her family, neighbors and friends. She was a remarkable cook and enjoyed preparing meals for her family and friends, especially over the holidays at their family farm in New York. Gardening was a special love as she filled our world with vegetables and flowers and countless projects to make things better. Her 22 years raising her family in Flint Michigan were full of giving at First Presbyterian Church of Flint and community volunteer projects. Maxine’s caring and giving way defined her actions throughout her life. Maxine’s family wishes to thank all of those who cared for her on her long road with Alzheimer’s Disease. Special love and thanks go to her Bickford family and the amazing and loving caregivers at the Mary B. They were indeed her sunshine every day. Maxine requested a simple intimate burial which will be at Fort Custer National Cemetery in Battle Creek Michigan. Her husband, children, grandchildren and great grandchildren will come together in mid-December to celebrate her life, love and memories and share her favorite foods that she taught us all to create and enjoy. 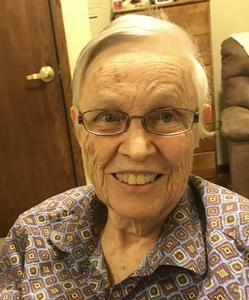 Memorial donations can be made in tribute to Maxine to the Alzheimer’s Association at https://alz.org/ or 1-800-272-3900 or to Hospice of Southwest Michigan https://www.hospiceswmi.org/.